Bhopal: The old world beauties charmed the new world crowds in Bhopal. In an event organized here in Bhopal brought in A fleet of 44 vintage cars and jeeps to win the people’s heart and transport them back to the world lost in time. Classic beauties like the majestic Rolls Royce, sturdy Ford, Austin, Volkswagen, Willys and Fiat, were there to count a few. 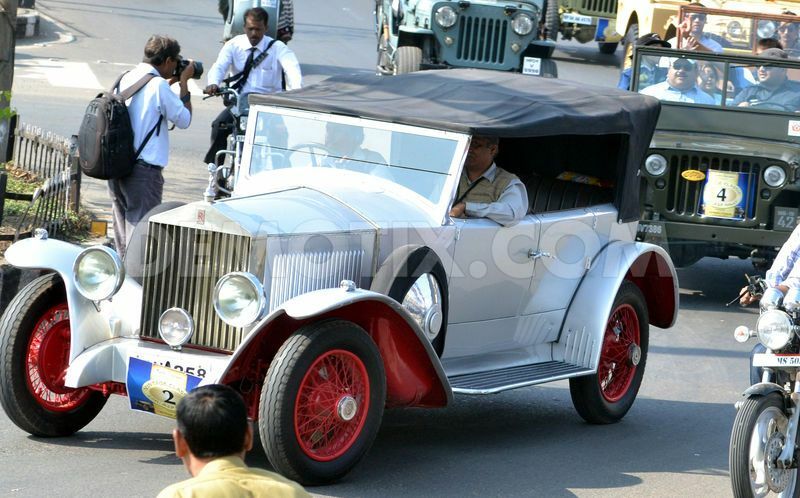 However, 1948 customized Austin of the Nawab of Pataudi proved to be a show stealer. This one was originally bought by the last Nawab of Bhopal Hamidullah Khan from England for Mansoor Ali Khan Pataudi. The presence of Sharmila Tagore in the car, for a while before the start of the rally, added to the beauty of the classic four wheel drive. This one is believed to be the only one of its kind remaining in the world. The rally organised in the memory of the late Mansoor Ali Khan Pataudi, was flagged off by Pataudi’s wife and actor Sharmila Tagore. The Rolls Royce owned by Indore’s Sharad Sanghi won in the pre-1942 category. The runner-up was Sanghi’s 1924 Voxhaul. The third prize was bagged by a 1942 Ford owned by Mohammad Jamir. Total 40 cars took part in the rally, which had total prize money of Rs 4 lakh. Austin Gypsy (1948) owned by Mansoor Ali Khan Pataudi won the first prize in the ’1943-1970 category.